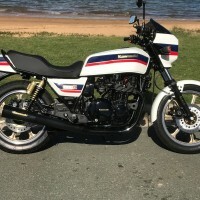 Restored 1980 Kawasaki Z250 Motorcycle. 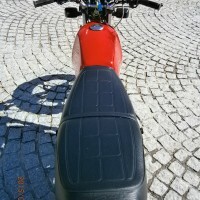 The frame and body parts were sandblasted and powder-coated. 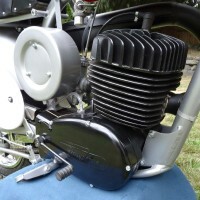 The engine cases were professionally polished. 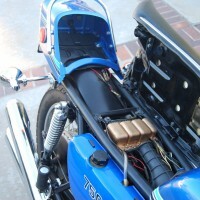 The engine was rebuilt with a new cam chain, guides and piston rings. 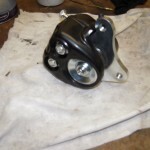 The brakes were rebuilt with new lines, pads and seals. 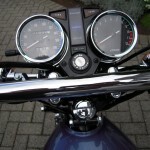 Brand new clocks were found and fitted. 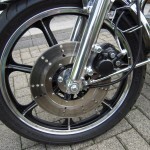 The wheels were stripped, painted and the rims polished. 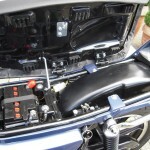 All of the electrical items were replaced. 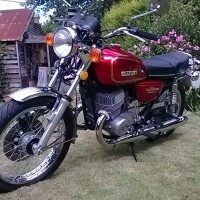 A very well restored Kawasaki Z250 Motorcycle. 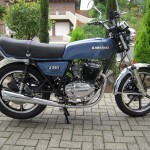 Kawasaki Z250 – 1980 For Sale or Wanted? 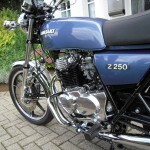 If you're looking for the perfect Kawasaki Z250 – 1980 for sale then take a look at the hundreds of restored classic motorcycles listed on our extensive Motorcycles For Sale pages. 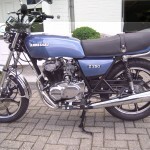 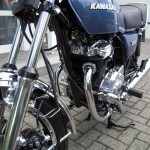 We regularly feature very nice restored Kawasaki Z250 – 1980 bikes for sale. 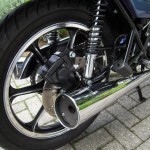 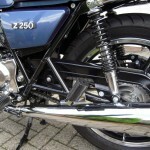 Spares and Parts for your Kawasaki Z250 – 1980? 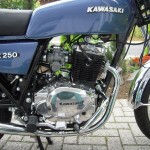 Workshop Manual for your Kawasaki Z250 – 1980?